Neat and clean towels and bed linen. the heating was good as well. There was a nice little restaurant around the corner (part of another hotel). The staff was really nice. Most of the time the Wi-Fi worked well. It was cheap. Bed was hard, room needed hoovered and wen moved beds last time badly needed cleaned but nothing major that would put me off returning also recommended to family and friends. Room was a lot smaller than we thought it would be, décor could really do with freshening up. Only stayed one night had booked for two but sorry couldn't cope with the small room. Looked better on line than in real life. Had it not been so late when we arrived would probably not have stayed at all. Not suitable at all for our requirements, won't be back a rating of 3.9 is generous! Excellent value for money. Added benefit of kitchen facilities (fridge/deepfreeze, stove, microwave, pots and pans, utensils etc) - saved costs on home cooked meals. Reliable WiFi. Good hot shower. Quiet at night being some distance off the highway. The toilets were good, staff was polite and the kitchen facility made our stay even better! The staff were very helpful and kind of made the hole experience ok. I didnt know what to expect, but thought the Metro Inn was similar to the Travelodge, since it was on the same site. Actually the Metro Inn is more like a hostel for men - working men in construction work, or back packers. I saw loads of men walking around, handing out windows smoking, out the front of the reception, and for a single women, this was a little uncompfortable - they just stared at me.... like, what the hell was I doing there!! The room was so small you couldnt walk round the bed. And the toilet was actually in the shower!!! This is one of the cheapest hotel that we could find. Metro Inns Falkirk This rating is a reflection of how the property compares to the industry standard when it comes to price, facilities and services available. It's based on a self-evaluation by the property. Use this rating to help choose your stay! The bright, colorful bedrooms each have a private sink and vanity area. Rooms also have a TV and corner work desk. 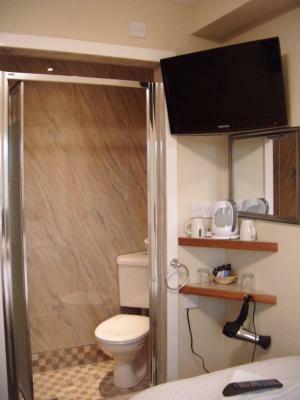 Some rooms offer access to shared bathrooms, and some rooms have private bathroom facilities. The Metro Inn Falkirk has convenient vending machines for light snacks and microwave meals. 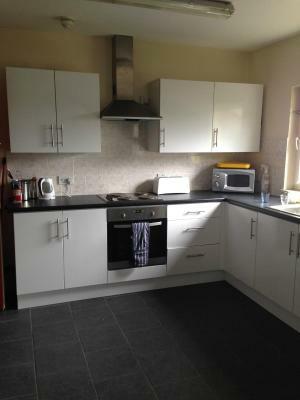 There is a communal kitchen for guests to use. There are a number of restaurants and pubs close by. Just 30 minutes from both Edinburgh and Glasgow, The Metro Inn is a 5-minute drive from Callendar House. The Antonine Wall is within easy reach, and Stirling is just 20 minutes away. Grangemouth Golf Club is 2 miles away. When would you like to stay at Metro Inns Falkirk? This room features a TV and free Wi-Fi. 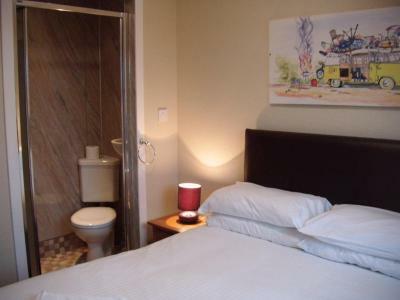 This room contains a double bed and private bathrooms. Guests will find a kettle in the room, and a flat-screen TV. Free WiFi is available. This room contains 2 single beds and private bathrooms. House Rules Metro Inns Falkirk takes special requests – add in the next step! Metro Inns Falkirk accepts these cards and reserves the right to temporarily hold an amount prior to arrival. A deposit of GBP 50 is taken prior to arrival for bookings of 7 or more guests. It was cheap, but you get what you pay for! 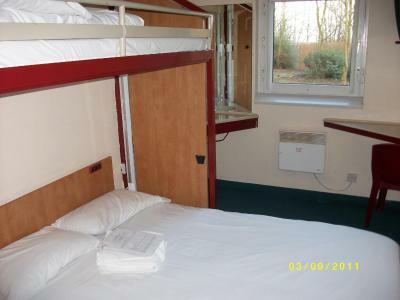 Mattress too soft, ladder leading to upper bed too loose, shower and toilets old and not up too the standard. Price should be much lower I believe. Clean and quiet area where Metro Inns is located. Place was desperate, police arrived 3 times in the space of 2 hours to take people away. Manager was telling someone off across the hall and saying he dosnt want the place to be known as a homeless place and he would tell the council Monday that he wouldn't take anymore homeless. Poor when considered we had paid for a hotel not a homeless shelter. No facilities in the room- no kettle, not enough electrical sockets, all far too basic by today's standards. Really not the good value you'd expect, but you can offset it by taking a trailing socket, kettle, mug and tea bags. The ancient useless TV's in the room- get rid and provide a kettle & mug. It's a good a good basic place to stay when working in the area- you wouldn't stay there for holiday experience unless you're on a very tight budget. The place was very dirty. The toilets were discussing. The only gripe would be that one toilet and one shower between a dozen or so rooms is probably not adequate, especially in the morning, but that said, if it bothers you sharing a bathroom, pay a few quid extra and get an ensuite. For the price, given also I booked the room a couple of days beforehand, it really couldn't be faulted. I don't really understand what people expect when they pay just over twenty pounds a night for a hotel less than thirty minutes from Edinburgh but the room was clean, warm, everything worked and most of all the bed linen was spotlessly clean and fresh. Ok the mattress was not a Hypnos but it was adequate. Double En-suite. Room needs better ventilation. We walked into the room and hit with an awful smell coming from the bathroom. Smelt like the local fishmongers! Defo needs the bathroom upgraded. The shared bathrooms were in better condition and cleaner than the En-suite. Suppose you get what you pay for at £28.